Oh, this heat… I’ve heard this phrase countless times for the past few weeks. And it’s not surprising at all. With the temperature over 100 degrees Fahrenheit most of the days, Los Angeles, especially its valley, is not the place where you want to joyfully go from places to places exploring and enjoying this amazing (despite the unbearable heat) city. On the other hand, where else like not in Los Angeles, can you jump in a car or take a bus and go to the ocean where the weather is much cooler (it’s always colder by the water) and there are plenty of things to do. But what if you don’t like beach activities and don’t want to sit inside in order to stay cool? I would say, “Go to a lake!”. Why not? It’s a perfect place to take a stroll or simply relax in the shadow of the trees and beat the heat at the same time. Here is a list of the lakes that you might want to visit any time of the year regardless of whether you live in Los Angeles or exploring this beautiful city as a visitor. One of my beloved lakes, Lake Balboa, attracts not only you and me but also TV and film crews. It’s quite amusing to see TV commercial that was shot when you were taking afternoon walk around the lake and unintentionally happened to be a witness of the whole process from setting a location till the director shouted, ‘Alright, we’ve got the shot.’ What else would you expect when the place is so beautiful? 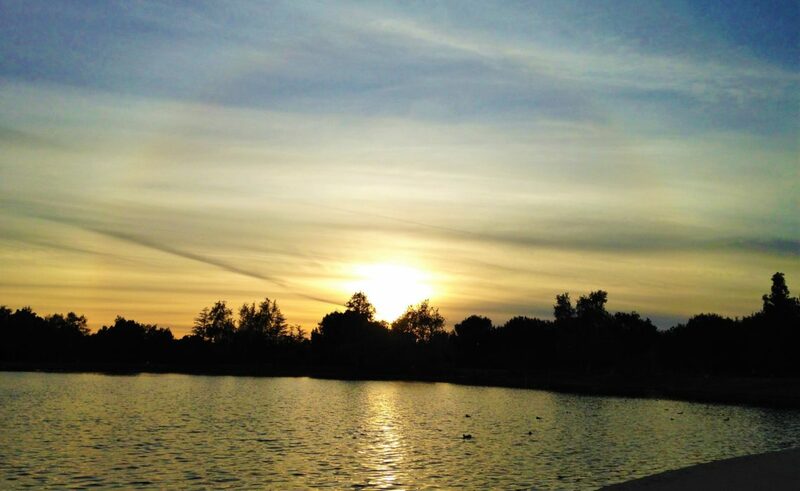 Lake Balboa, or Lake Balboa Park, welcomes people of all ages and offers plenty of activities to all of them. Children will definitely have fun at children’s play area. Families can have a little barbecue parties (barbecue pits and picnic tables are available for free). There are jogging, bike and walking paths for people who prefer outdoor exercises. It is also a perfect place for those who like fishing. Go ahead and enjoy it as much as you want since fishing is permitted at the lake. 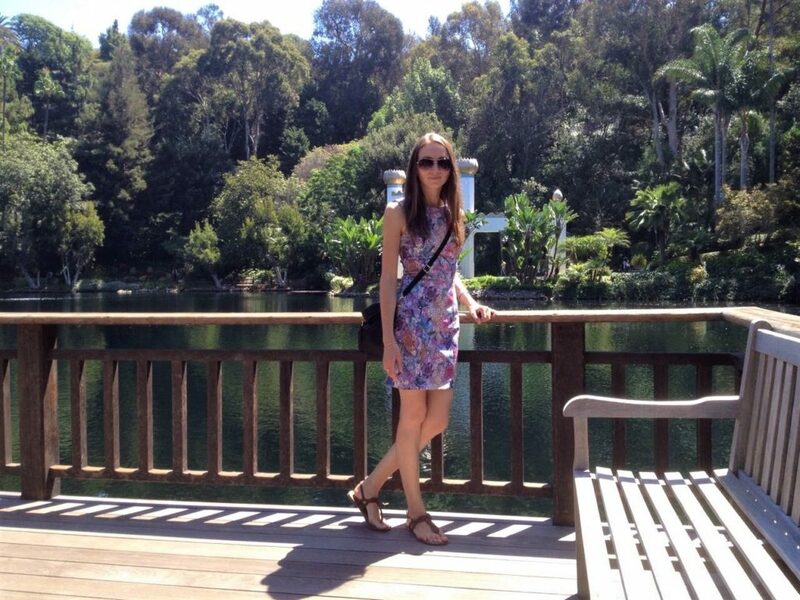 How can I not mention here one of my all time favorite lakes, Lake Shrine? Absolutely stunning and spectacular spring-fed lake surrounded by natural hills and lush greenery everywhere you look! Everything from abundance of trees and flowers, breathtaking waterfalls and fountain, remarkable statues to adorable colorful benches excite and marvel your eyes. As soon as you enter this place, you feel like you walked into sanctuary of quietness and peacefulness. There is no noise, no loud talking or screaming, no cell phone rings with the exactly same ringtone that you have on your phone, which always makes you wonder if it is your phone ringing or the person’s who just passed you by. This is the place where you can sit and quietly meditate without disturbances. 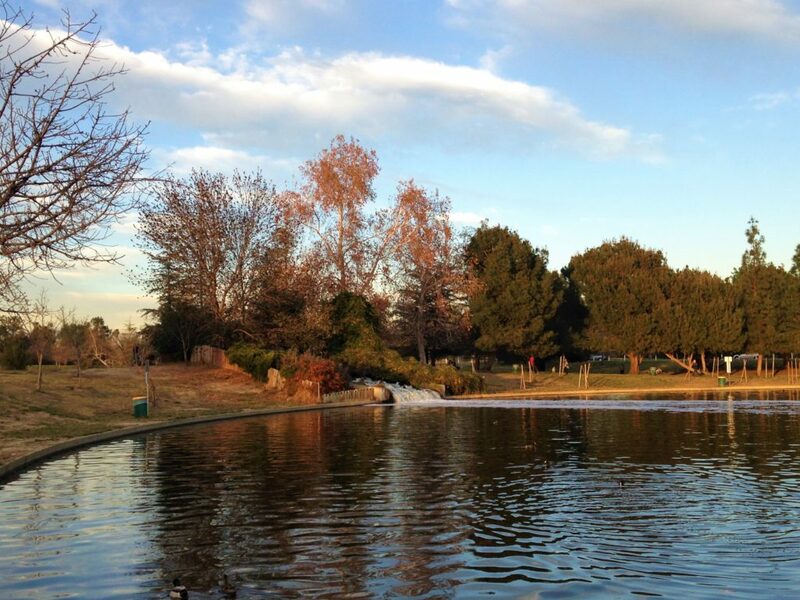 If you are not into meditation, take a leisurely stroll around the lake. Don’t forget to bring your camera and take as many pictures as you only can. Trust me, all of them will be gorgeous. Be sure to check visiting hours before you come here since the lake is open only during specific time of the day. If you happened to be in Los Angeles in the summer, find time to stop by at Echo Park Lake to see blooming lotus. It’s an absolutely incredible view: the big lotus flowers spread out in the water in such proximity to each other that it seems like a blanket made out of the lotus covers the lake. Another prominent feature of the place is its location. 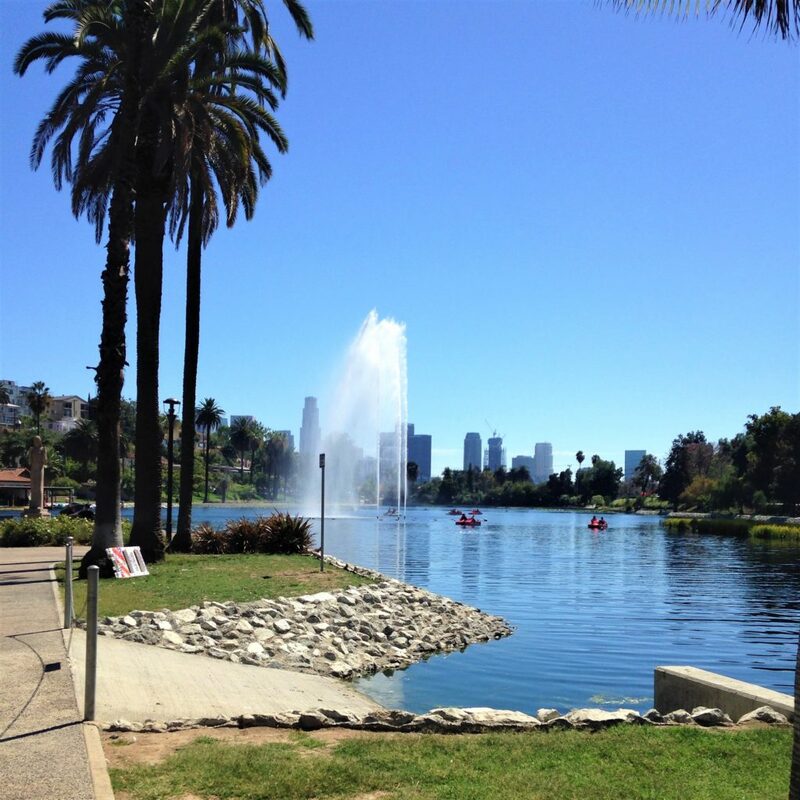 Neighboring Downtown Los Angeles, the lake with a big fountain in the center has been captured in enormous amount of pictures. I’m sure you saw some of these ‘Echo Park Lake with downtown Los Angeles skyline in the background’ pictures on the Internet or Instagram. So don’t deny yourself a pleasure to walk around this beautiful lake and find a spot where you can take your own perfect picture. Make sure to grab some food and have a picnic in the picnic designated areas or rent a pedal boat and cruise around the lake. No matter what you prefer to do, the time you spend at the lake is totally worth it. I can’t help myself. I like Japanese gardens very much! These gardens with lakes are so adorable that you want to have one of them in your backyard. Lakes and streams, waterfalls, cute little bridges, lush greenery… What else can you ask for? 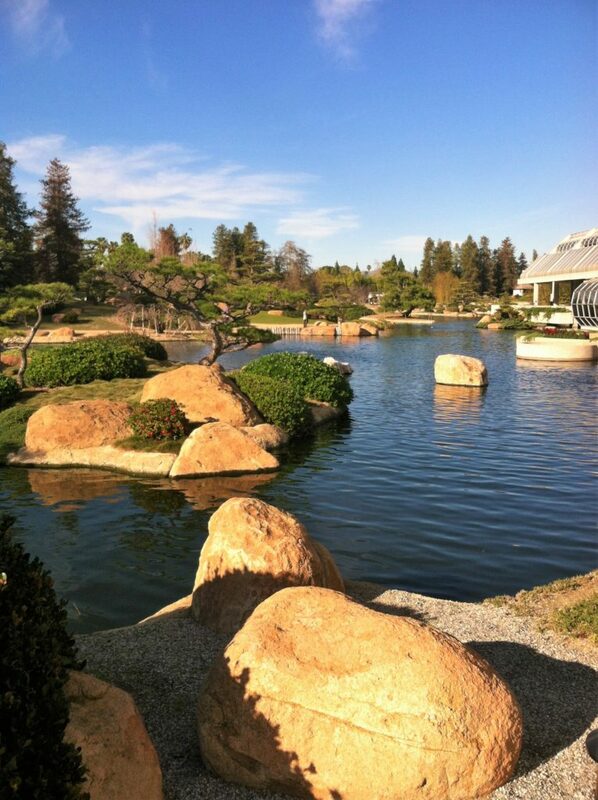 The Japanese Garden in San Fernando Valley is exactly like that. You absolutely must come here, take a nice walk around the lake and enjoy beautiful trees and flowers, stone lanterns that were carved in Japan, amazing waterfalls or just relax and sit by the water. There is only one thing that you might dislike here. Since the lake uses reclaimed water from adjacent water reclamation plant, the whole place has specific smell. Other than that, this is a perfect place to spend your afternoon. Before visiting the garden, confirm its hours of operation and have $5 for admission. Another Japanese garden and another beautiful lake. 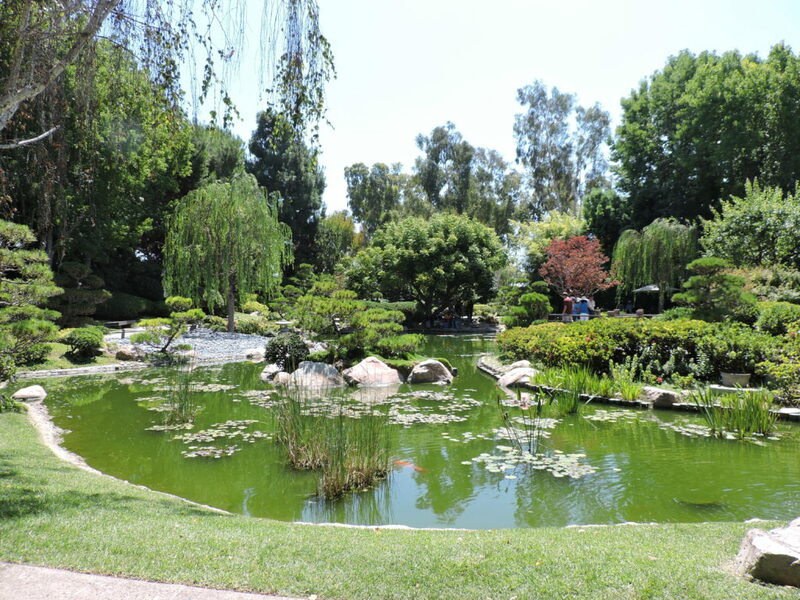 Earl Burns Japanese Garden is much smaller than the Japanese Garden in San Fernando Valley but is in no way less adorable. Charming little lake surrounded by abundance of greenery invites you to spend some relaxing time, take a short walk or sit, watch koi and enjoy the serene setting. Sparkling waterfalls and arched bridge of the garden intrigue you by their beauty and make you fall in love with this place. The garden also suits preferences of those who are in need of a perfect location for their special events. Just be sure to rent it in advance. What are your favorite lakes in Los Angeles? Please share and let us know in the comments below. You are right. It’s very beautiful out there. Thank you! I am happy to share it. Do you have any suggestions on must see places if you re driving from Lake Tahoe to San Diego?